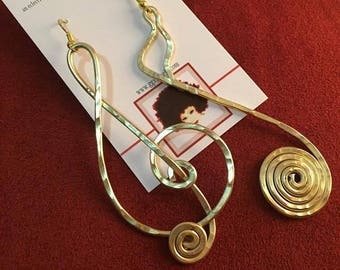 This listing is for one (1) pair of Bangin' Beatuties (BB3) earrings in the "Phoenix Rising" style as shown. PLEASE BE SURE TO MESSAGE YOUR COLOR CHOICES upon ordering. Matching ring by custom order request only. 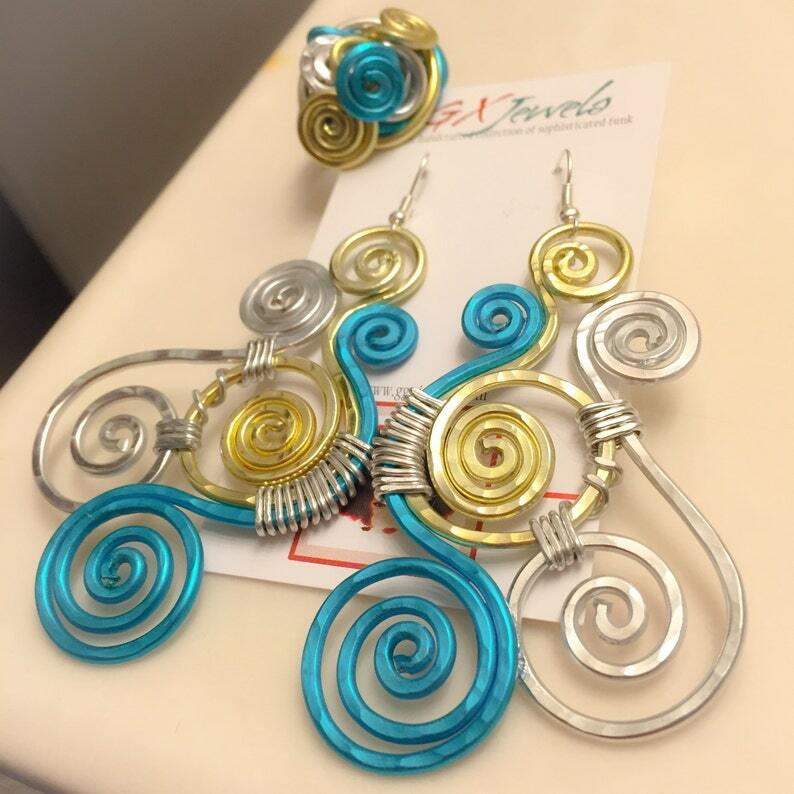 Due to my creative process and the abstract nature of wire work, I retain artistic/creative license in the design. What you are ordering will be very similar to what is seen here but will not be identical. That is the BEAUTY of wearable art! Love my custom-colored jewels! Long-time fan of her work!